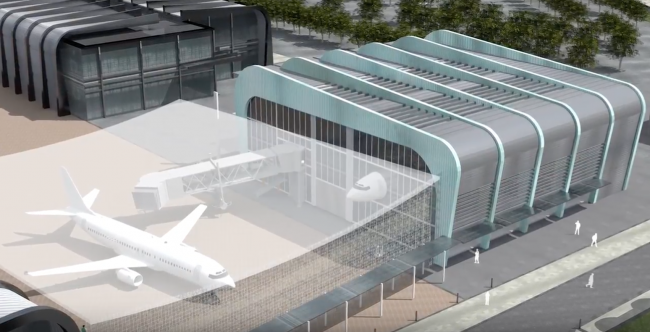 A new £65 million Digital Aviation Research and Technology Centre (DARTeC) will be built at Cranfield University to spearhead the UK’s research into digital aviation technology. Once constructed, DARTeC will provide research facilities unprecedented in Europe. Funding for DARTeC will be provided from a consortium of leading aerospace and aviation companies including Thales, Raytheon, SAAB, Monarch Aircraft Engineering Limited, Boeing UK and Aveillant – as well as Cranfield University. The Centre is also benefiting from £15.5m of funding from the UK Research Partnership Investment Fund (UKRPIF), a scheme led by the Higher Education Funding Council for England (HEFCE). Professor Sir Peter Gregson, Chief Executive and Vice-Chancellor of Cranfield University, said: “This is a fantastic example of business, academia and Government coming together to create world-leading research facilities. Together with the Aerospace Integration Research Centre and the University’s own airport, the construction of DARTeC will see Cranfield offering the leading aerospace and aviation research facilities in Europe. UKRPIF supports higher education research in areas of research excellence to attract investment, and to strengthen the contribution of research to the economy.